Written by Central Victorian theatre-makers Megan J Riedl and Jacob Honeychurch, The Belly Dancer is a bold new performance inspired by real-life experiences of family violence. 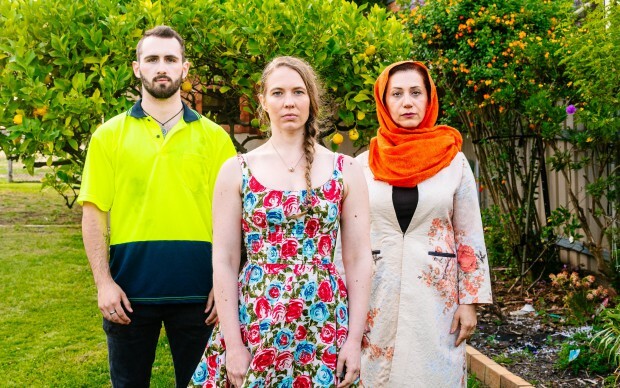 The play holds up a mirror to our recent local history, when in 2015, Bendigo was the epicentre of anti-muslim protests, about the planning proposal for the city’s first mosque. The Belly Dancer asks what kind of community we want to be creating – one that is underpinned by the values of violence and shackled by fear, or one that is open to difference and celebrates our capacity to embrace change with love. Are we complicit in maintaining the power imbalance that allows violence to flourish? As the bystander next-door, is doing nothing still acceptable? Tripwire Theatre Inc. is a not-for-profit theatrical production company whose members are emerging professional theatre makers and arts managers from across Central Victoria. The performance season includes two shows with a panel Q&A, aimed at groups from community or business who wish to promote conversation within their organisations about domestic violence and diversity. It goes down from 15 – 18 March 2019 at The Engine Room, Bendigo. Tickets are on sale now from The Capital Box Office.